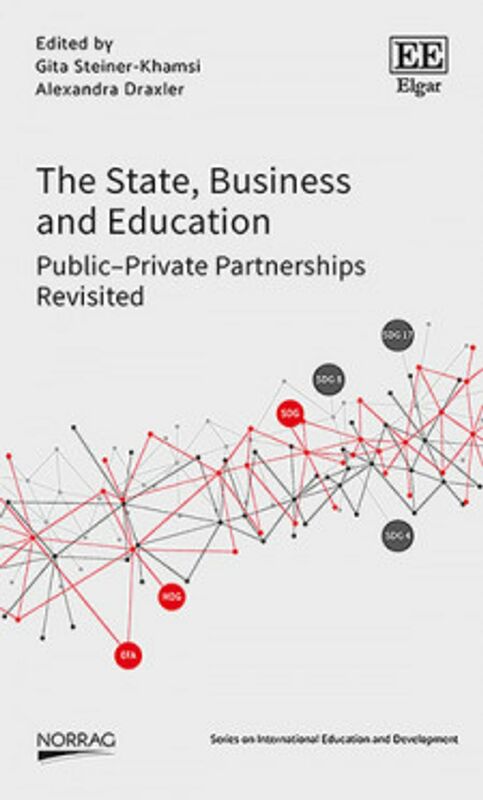 ‘[In sheep’s clothing]: Philanthropy [and] the privatisation of the ‘democratic’ state: who needs a Ministry of Education?’ ironically ask the authors of a new report which sheds light on the unprecedented role of ‘philanthropic’ actors in education policy-making. Canada: Doug Ford’s right-wing … Conservative government has unveiled a plan that in the name of education “reform” makes savage cuts to Ontario’s public education system: here. 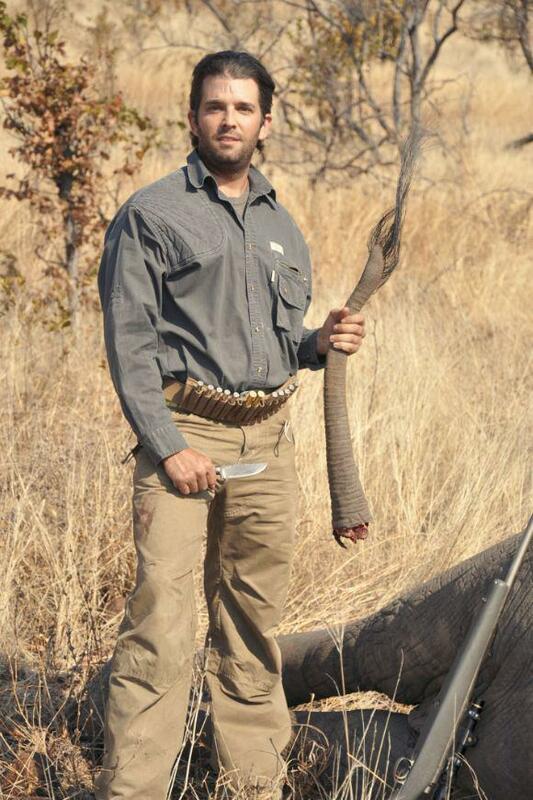 This photo shows Donald Trump Junior holding the tail of an elephant and a large knife. He is standing next to the carcass of an elephant that has a rifle leaning against it. We don’t know whether he shot the elephant or not, or whether he cut the tail off himself, but that is clearly the impression the photo is meant to give. Speaking at the February 11 fascistic rally in El Paso, staged to promote a border wall, Donald Trump, Jr. revved up a hand-picked right-wing crowd for his father by proclaiming that “loser teachers” were indoctrinating “babies from birth” with socialism. With teacher strikes continuing to escalate across the US, including West Virginia and California, Trump Jr.’s provocative remarks express the ruling class’s deep fear of the growing popularity of socialism and the rise of the class struggle. Adding teachers to his ever-growing “enemies list” Trump’s crisis-ridden regime’s turn to McCarthyite red-baiting is inseparably linked with plans for repression, symbolized by the demand for a militarized wall with Mexico. The undercurrent of fascistic violence came to the surface when one of Trump’s supporters attacked a BBC cameraman at the rally. Hysterical attacks on socialism were a major component of Trump’s State of the Union speech, which was followed by a declaration of a global war on “communism and socialism” in a bellicose speech at Florida International University in Miami. Such fascistic appeals increasingly characterize the administration, with the president reiterating some 36 times in his short Miami speech the words “socialism” or “communism”. For good reason, the ruling elites face an increasingly angry and combative working class. In 2018, nearly half a million American workers went on strike—the highest figure since 1986, the greatest change in a generation. This resurgence of the class struggle is part of a worldwide upsurge—from the Yellow Vests in France and the insurgent strike by maquiladoras workers in Matamoros, Mexico, to massive struggles on virtually every continent. West Virginia teachers—whose courageous strike one year ago galvanized teachers across the country—have walked out again, demanding the withdrawal of a legislative plan to charterize schools in the state, the fulfillment of promises broken over the last year, and real improvements in public education. Arizona teachers, who struck for six days last spring, have been vocally calling for renewed walkouts should the governor fail to deliver on promised pay increases this year. In Oklahoma, the site of a 10-day strike last spring, teachers are demanding at least a $3,000 additional pay bump this year. Nothing has been resolved in any of the previous strikes—as schools continue to reel under the impact of decades of budget cuts. Oakland teachers will strike today, and new struggles threaten to erupt in virtually every school district in the country. 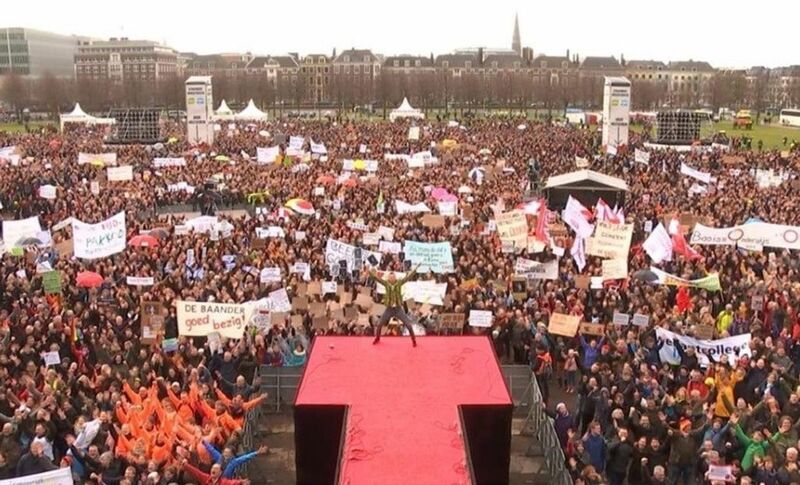 Moreover, parents, young people and the population as a whole have registered their overwhelming approval of these long-overdue struggles, with polls showing upwards of 80 percent in favor of walkouts. In Denver and Los Angeles, the strikes were complemented by sit-down protests and rallies by thousands of students. Young people are indeed increasingly politicized and identifying as socialists. For Trump and his ilk, public education, like all social rights, is socialism. This oligarchy sees any incursion on their ability to profit as intolerable. It hates educators because they are standing in the way of the financial rewards anticipated in the plundering of the $4 trillion education market. Education Secretary Betsy DeVos speaks firmly for this policy when demanding “choice”—i.e., the destruction of what she views as “compulsory education”. In contrast, American Federation of Teachers President Randi Weingarten has made no comment about Trump’s rant on “loser teachers” preaching socialism. 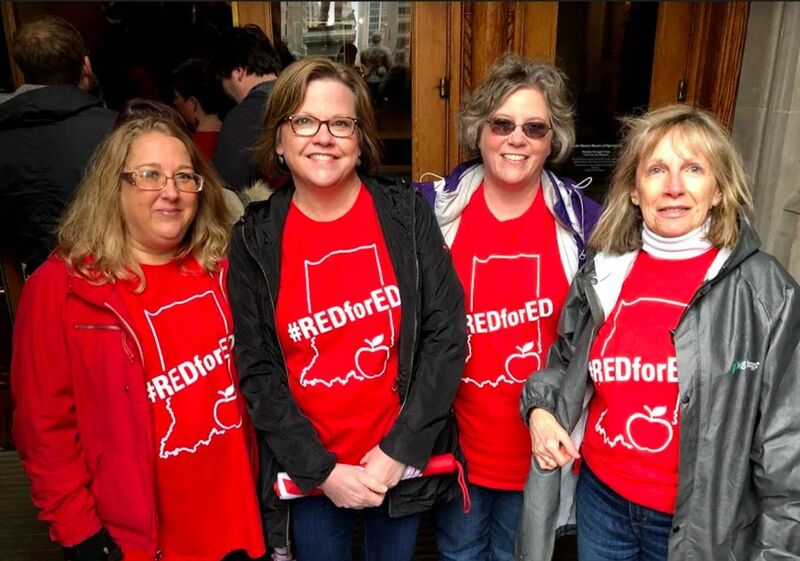 Far from defending teachers against red-baiting, Weingarten (annual salary $543,000) is a rabid anti-communist and would no doubt agree that “socialist” teachers have no business in the classroom. There is a long and ugly history to the union’s adoption of anti-communism and its corollary, the suppression of the class struggle. Weingarten was the protégé of the long-time president of the AFT, Albert Shanker, a particularly vicious opponent of socialism who supported the Vietnam War, partnered with the CIA campaign to subvert Latin American unions, and assisted in the illegal US Contra War in Nicaragua. A fervent supporter of the reactionary anti-Russia campaign, Weingarten also held a secret meeting with former Trump strategist and open fascist Stephen Bannon in 2017 to discuss mutual investment projects. Moreover, the AFT’s “seat at the table” and access to government-sanctioned dues-checkoff was solidified by purging socialist teachers. In 1941, it pulled the charters of three New York and Philadelphia locals citing their socialist and communist leadership, expelling one-third of their membership, approximately 8,000 teachers. When the state of New York enacted the Feinberg Law and summoned hundreds of public school teachers to House Un-American Activities-style hearings between 1949 and 1958, the AFT stood by, allowing educators to be driven from the profession. Alongside this political censorship on behalf of the government, the AFT prevented strikes, abetting the long legacy of poverty wages for teachers. In line with the class interests of a union leadership that takes home five or even ten times the income of an ordinary teacher, the AFT is downplaying the significance of the US turn to authoritarian and dictatorial policies. On the occasion of Trump declaring a national state of emergency, the AFT issued a statement complacently describing it as a fake emergency and calling for Congress to “hold Trump accountable”. They suggest that it is merely an election stunt and that Trump is “pouting”. These words have never been truer than today. As America teeters on dictatorship, the Trump administration reflects not an aberration, but a worldwide danger of world war and fascism. This phenomenon expresses not the strength of capitalism, but its dead-end and intractable crisis. Emerging on the scene of history is the mighty international working class. The objective logic of the class struggle is bringing that working class into a direct confrontation with the capitalist profit system. The fascistic threats of the Trump administration are an urgent warning. The defense of all basic rights including public education requires an end to imperialist wars, social inequality and the ever-more rapacious profit system. Nearly all 3,000 teachers in Oakland, California went on strike Thursday in their first walkout in over 20 years. Like the other teacher strikes that have swept across the country over the last 12 months, Oakland teachers, who are fighting for increases in pay and school funding, reduced class sizes and against threatened school closures, have won popular support from parents, students and other workers: here. Three thousand teachers in Oakland who went on strike Thursday are the latest battalion of educators in the United States to take a stand against the corporate war on teachers and public schools. This struggle deserves the active support of all workers and young people. What is at stake is the very fate of public education: here. House Education and Labor Committee: US schools are in shambles: here. The presentation draws on the book The Global Education Industry, edited by Antoni Verger, Christopher Lubienski and Gita Steiner-Khamsi, and published by Routledge in January 2016. The presenter argues that the current commercialization wave is fundamentally different from earlier waves of private-sector involvement in education. She discusses examples of how the global education industry has shaped the ways “effective education” (learning) is re-framed. She also discusses why new governance and finance models have surfaced – models that enable profit, an economy of scale, and a long-term “service contract” benefiting private-sector providers. For a long time, critical educational researchers attempted to See[ing] Like a State (James G. Scott) in order to understand governmentality in education. The presenter proposes that we need to Calculate like a Business in order to explore the business logic underlying current trends in public education. The State, Business and Education documents the rapid growth of private schooling at the expense of public education globally. Billionaires, key organisations such as the World Bank, global tech companies, think tanks and national governments are acting in concert to dismantle the basic social right to universal, free public education and impose a user-pays system. The studies collected in this volume outline the various forms of privatisation taking place. These include Public Private Partnerships (PPP), voucher schemes, for-profit fee-based basic education and other forms of government support for the private sector. The work pays particular attention to the “substantial” role of the International Monetary Fund, the World Bank, USAID, the UK’s Department for International Development (DFID) and other international and bilateral agencies in disseminating and funding privatisation policies. The book chronicles how the role of the state has increasingly been reduced to standard-setting and benchmark monitoring. Standardisation, the writers explain, was a necessary condition for business to profitably enter the education market. Thereafter major corporations further modularised education to lower production and delivery costs for their products and services, and to increase the number of customers. The authors note the cynical pitch used to sell the destructive education policies, employing the vocabulary of “commitment to inclusiveness, nurture of diversity and multiple paths for individual journeys.” The reality is mass production for profit. Scripted teaching, international standardisation of process and desired outcomes and a focus on measurable performance are the benchmarks of the manufacturing approach. The State, Business and Education provides valuable detail and insights into how this assault on public education is taking place, largely behind the backs of the population. India has one of the world’s largest youth demographics and at the same time a completely inadequate education budget. Funding cuts to the public school system have forced parents desperate for quality education for their children into so-called Low Fee Private Schools (LFPS). While an estimated 37 percent of India’s people live below the poverty line and cannot afford even the cheapest private schools, pro-privatisation entrepreneurs target those just above the poverty line, charging school fees averaging 30 percent of household expenditure. Hyderabad, known as the Silicon Valley of the East, is considered the perfect test laboratory. For decades it functioned as a “back office” for leading multinationals such as Google, Microsoft and Amazon. Following the 2007–8 global financial crisis, Hyderabad’s established software economy and surplus of skilled labour made it a select site for developing and upscaling the edu-business market. The mobile education business is estimated to be worth $75 billion worldwide by 2020 with the market for devices like learning tablets set to be worth $32 billion. “E-learning companies are poised to benefit from this market, including content and assessment corporations like Pearson, mobile network firms, and companies that provide toolkits and tablets,” Spreen and Kamat write. Far from providing “quality education” Spreen and Kamat found the LFPS operating with untrained and unqualified teachers who are paid subsistence wages in extremely crowded classrooms. Another chapter follows the transition of the world’s largest NGO, BRAC, in Bangladesh, from a model that sought to educate the poorest children in Bangladesh for free from funds donated by international donors, into a LFPS model operating entirely on fees paid by parents. BRAC schools prided themselves on giving “a second chance at learning to disadvantaged children left out of the formal education system due to extreme poverty, violence, displacement or discrimination.” The BRAC schools functioned as a one-room, single grade, single teacher schools. Sixty-five percent of pupils were girls and 100 percent of teachers were women, hired locally, and provided with two weeks training. In 2016, BRAC changed its education model. A 20-school pilot of low-fee paying “Shishu Niketon” schools soon expanded to 7,390 such schools. Shishu Niketon schools are run along similar lines to the BRACs schools but charge fees. According to the chapter’s author, Emily Richardson from Colombia University, by 2018 no more BRACs schools would exist, while the number of Shishu Niketon schools was expected to increase to 15,000. Two chapters note the “particularly intense” presence of pro-privatisation actors in “low income countries and those who are vulnerable for humanitarian reasons.” The World Bank has promoted LFPS in low-income countries. “In its 2020 Education Sector Strategy the World Bank identified LFPS as a potential private partner in the provision of education in southern countries and in particular as a desirable school option for socio-economically vulnerable students.” One example is the World Bank’s grant of $10 million to BIA to stimulate its expansion in Kenya. In 2016, according to a Guardian article, a High Court in Kampala ordered the closure of 63 BIA schools across Uganda after finding they were using unqualified teachers, provided unsanitary learning conditions and were not properly licensed. Another chapter looks at how pro-privatisation advocates exploit emergency situations as testing grounds. In El Salvador, following its civil war, a “school based management” (SBM) program required parents to hire and fire teachers on one-year contracts, and relied heavily on unpaid parent labour. The penultimate chapter looks at the United States in a chapter entitled “Death by a Thousand Cuts.” Joanne Barkan says President Barack Obama became Charter-Advocate-in-Chief with his Race to the Top program, a competitive grant program that gave the charter school enterprises a substantial boost. Barkan states that the number of charter schools, while small compared to the overall school system, “are highly concentrated geographically and wield substantial political clout.” She cites statistics where 92 percent of K-12 students in New Orleans attend charter schools, 53 percent in Detroit, 45 percent in the District of Columbia. The author records the “mediocre” academic results of charter schools, and writes: “Both charter school management and voucher programs are rife with fraud. It comes with the territory when states hand over millions of dollars without adequate vetting or ongoing oversight.” Barkan notes another effect of vouchers and charter schools: they increase socio-economic inequality and racial segregation. The State, Business and Education fails to answer that question, however. Its recommendations for “better, stronger regulation” are consequently impotent. The work itself documents that regulations abound but are ignored with impunity by profit-seekers. As the damning exposures of the book suggest, the democratic and egalitarian principles that are meant to be embodied in public education are incompatible with the deepening crisis of capitalist profit system, which has accelerated since the 2008 crash. The insatiable demand for corporate profit is the driving force of the assault on public education system. The only solution lies in the global fight by educators, students, parents and the working class as a whole for a socialist perspective and program. Teachers in Denver, Colorado are continuing their strike over low pay and underfunding of the school system. According to the union, 3,800 of the district’s 4,725 teachers are participating in the strike, which is the latest in a series of teacher walkouts extending across the United States since the spring of 2018. Denver Public Schools (DPS), which serves 92,000 students and operates 207 schools, is attempting to keep the district running by putting administrators and substitute teachers in the classrooms. 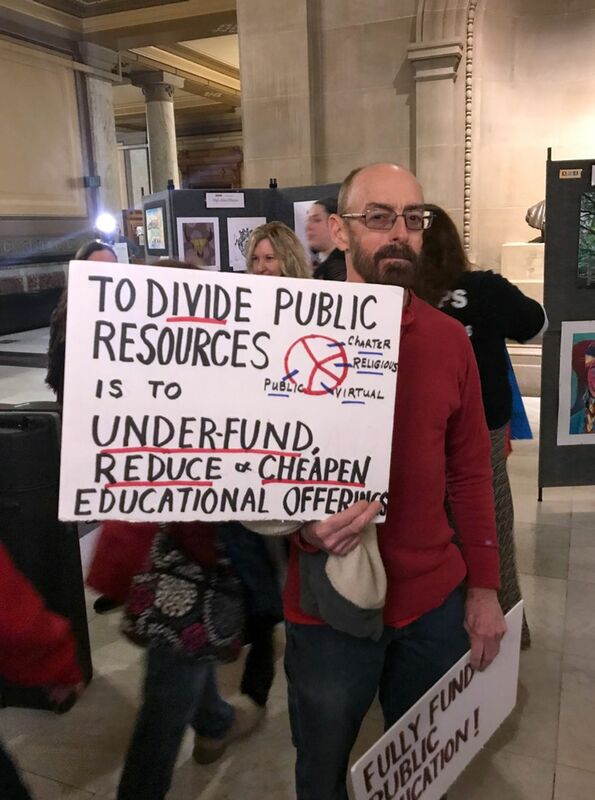 There is widespread support among students and parents for the DPS employees, who work in a state that ranks among the last in the nation in terms of teacher pay and live in a city where the median home price of $421,000 is double the national average. In Colorado, the central role in axing social spending and making the state one of the nation’s most attractive for the wealthy has been played by the Democratic Party. With the exception of a two-term period from the late 1990s to the mid-2000s, Democrats have controlled the governorship since 1974. Per pupil funding in Colorado for K-12 education is $2,000 below the national average and places the state among the bottom third of all states for school financing. Small increases in budget allocations for public education in recent years have been far outstripped by increasing numbers of students, declining local funding and growing costs facing schools. The state does not even provide a free full-day kindergarten education. Families are charged tuition based on a sliding scale, with the maximum rate being upwards of $2,500 for the school year. Colorado’s current governor, Democrat Jared Polis, is a founder and advocate of charter schools. In May, the state’s previous Democratic governor signed into law a massive attack on the pensions of teachers and other public sector workers. At the center of teachers’ demands is the overturning of Denver’s merit pay system, ProComp. The “incentive-based” compensation program was designed and implemented in the mid-2000s … . As a substitute for raising teachers’ base pay, the DPS and DCTA developed ProComp to award bonuses on the basis of student test scores, teacher evaluations, subject matter taught, the “high-priority” character of the student population, labor-market demands and a variety of other metrics. The “merit” standards are so complex and change so much that educators say they cannot predict their monthly, much less annual, income. The scheme is also used on school psychologists, counselors, librarians and other staff. 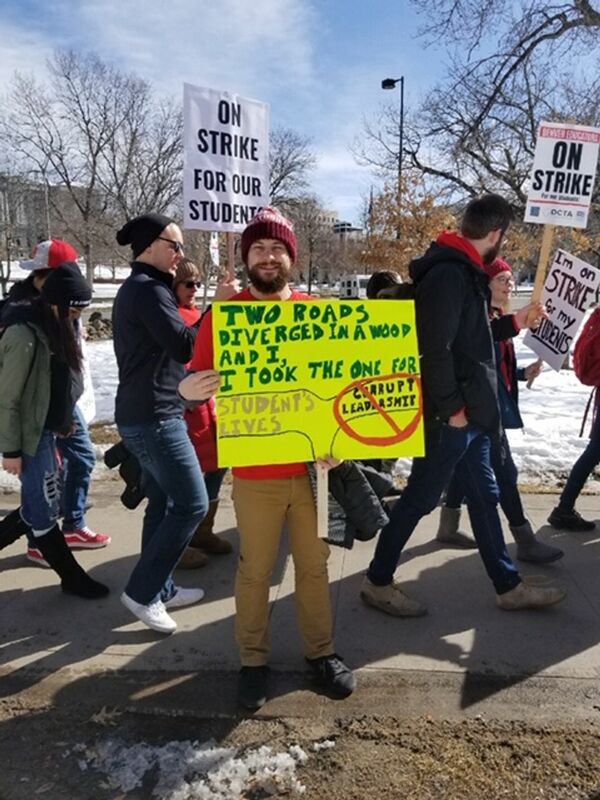 Abbie Ashby, a first-year math teacher, told the World Socialist Web Site: “I’m striking because the bonuses we receive disrupt our classrooms. I work in a ‘high priority’ [high poverty] classroom so despite the incentives, our middle school students only kept two of their teachers last year. My 8th grade students had so many math teachers last year. The merit-based pay system was billed as a means to boost teacher retention and student performance. It has achieved neither of these. The achievement gap between poor and better-off students is one of the largest in the country, exceeded only by Washington, DC, and Atlanta. The overriding intent of the scheme is to scapegoat teachers for educational problems that are the inevitable product of poverty, social inequality and decades of defunding public education. One in five children in Denver live below the government’s official poverty line and a third come from families where no parent had full-time, year-round employment. These figures underestimate the real scope of social suffering. According to Shift Research Lab, however, a family of four in Denver must make 3.4 times the federal poverty line to actually be self-sufficient. By linking their compensation to conditions in the schools, the ProComp system makes teachers pay for the devastating fact that large numbers of their students are living in households that cannot pay for the basic necessities of life. The origins of Denver’s merit-based pay system can be traced back to the work of the National Commission on Teacher and America’s Future (NCTAF), headed by Democrat Jim Hunt (governor of North Carolina) and Linda Darling-Hammond. The latter served as an education advisor to Barack Obama and was considered for education secretary until Obama chose Arne Duncan, another proponent of corporate-backed “school reform”. In 1996, the NCTAF published a report entitled, “What Matters Most: Teaching for America’s Future”, that advocated merit pay in the educational system. The agenda contained in this report was picked up by DPS, the DCTA and the Rose Community Foundation, which worked to institute a pilot ProComp program in Denver in 1999. The “pay-for-performance” (PFP) model got a further boost in 2000 and 2003 from the right-wing scholar Edward Lazear, who would come to serve as the chief economic adviser to George W. Bush from 2006-2009. On the basis of data showing that a pay-per-item compensation model (in other words, piece rate) at Safelite Autoglass had significantly increased worker output and profits, the Stanford University professor argued that teachers should be subject to a similar “motivational” pay system. The efforts in Denver caught the attention of other big donors, such Eli Broad, a multibillionaire promoter of privatizing public schools. In 2005, a major campaign effort initiated by the DCTA and DPS, backed by the Democratic Party and financed by so-called non-profits, steamrolled voters into supporting a tax measure to fund ProComp. The tax measure promised an additional $25 million for school financing as long as it was used to implement the merit-pay system. “Entrepreneurial behavior within the unions” and “unprecedented labor-management collaboration” were key to securing the “groundbreaking” initiative, according to the major book on ProComp, Pay-for-Performance Teacher Compensation, published in 2007. In fighting against merit pay, low wages and the underfunding of schools, Denver teachers are in conflict with the trade unions and the Democratic Party. The DCTA has already made clear that it is merely requesting changes to the ProComp system, not its elimination. Similarly, the head of the National Education Association (NEA), Lily Eskelsen Garcia, declared that the biggest issue was the lack of clarity in the ProComp system, not the existence of merit pay itself. “You are unique here in Denver because here you are saying, ‘Can I just know what I’m being paid?’” she told a crowd of striking teachers outside the Capitol building Monday. Denver’s teachers’ strike is part of a broader struggle of educators throughout the United States and the world. Educators everywhere, and the students and communities they serve, are their allies … Only by taking the initiative in their own hands, through the formation of rank-and-file committees and linking up with educators and other workers across Colorado and beyond, can teachers mobilize the necessary support to wage this decisive battle. 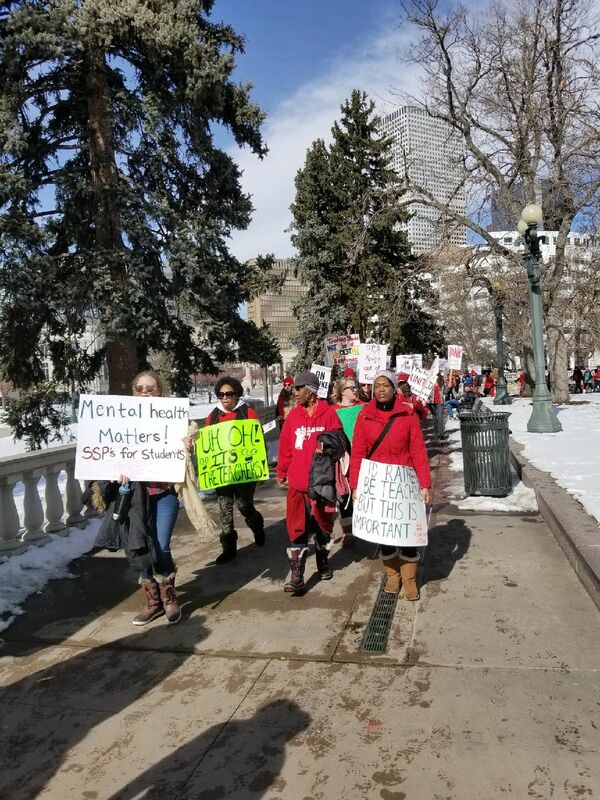 Teachers in Denver, Colorado are continuing their strike over merit pay and the chronic underfunding of the school system by city and state Democratic Party officials. There is broad support among students and parents for the strike, with many students walking out of school to join the picket lines and protests by their teachers. 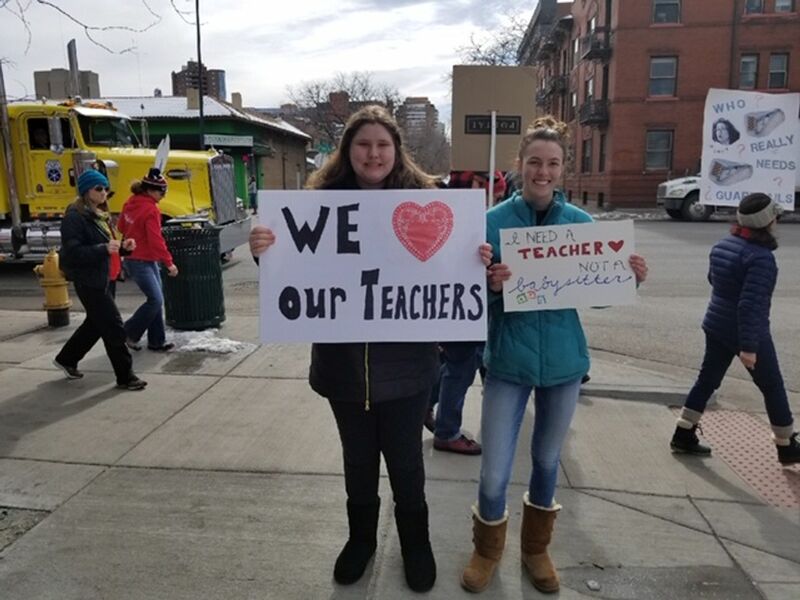 As the hundreds of teachers marched the mile to Civic Center Park, near the State Capitol Building, cars honked, and people came out of the neighborhoods and stores to support them. Teachers and students spoke to the World Socialist Web Site about the “pay-for-performance” ProComp scheme that ties teachers’ compensation to standardized test scores and other measurements largely determined by poverty, school defunding and other social ills, which teachers have no control over. 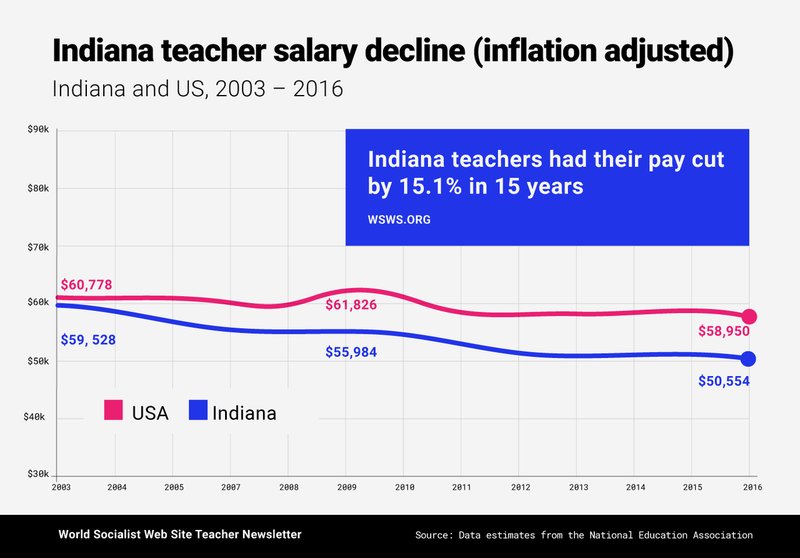 In addition to scapegoating teachers for these conditions, the arbitrary character of the merit pay system has left teachers unsure of their actual income from month-to-month. 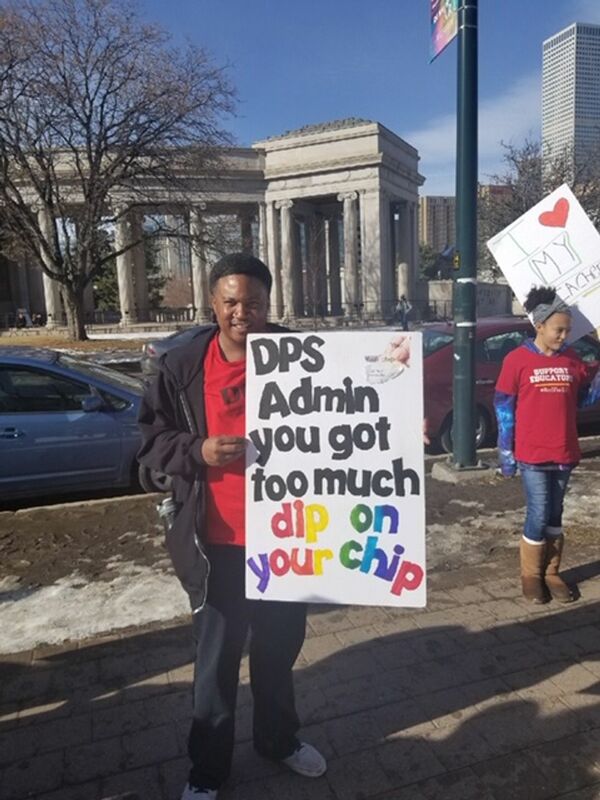 “I’ve been working for DPS (Denver Public Schools) for 12 years and I’ve been a teacher for 21 years, but I honestly have no idea how much money I make,” Ryan Short, a teacher at East High School, told the WSWS Teacher Newsletter. 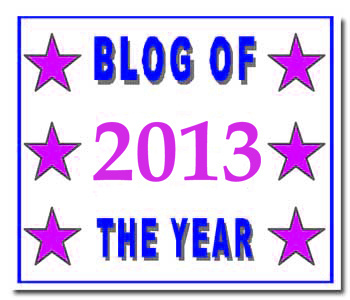 “It varies every year and, yes, every month. It’s ProComp and the different bonuses that come and go. One year a bonus might be worth something, the next year it is worth nothing. “We want salaries to be equitable for all teachers. We are asking for a transparent salary scale, higher base pay and incentive bonuses. We want it to be fair and predictable for all teachers. We all work hard. As a special education teacher, there’s no reason I should be paid an extra $2,500 a year above the science teacher next to me. The money is not why I do what I do. We should raise the wages for everybody and make it fair for everybody, then turnover will be less, and student success will increase. “I am married to a professional, we do OK, but I’m out here fighting for all the people I work with. Without a doubt, I’ve had friends come and go out of the profession just because they can’t afford it. Abbie Ashby, a first-year math teacher, said, “I’m striking because the bonuses we receive disrupt our classrooms. I work in a ‘high priority’ [high poverty] classroom so despite the incentives, our middle school students only kept two of their teachers last year. My eighth grade students had so many math teachers last year. “Since the incentives are unreliable, many teachers have taken significant pay cuts from year to year. Some teachers tell me they make less now than two years ago. “I have no idea what my paycheck will be. This is my first year and every time I get it, I am completely confused. I don’t know if I’m getting all the right money for incentives. “I live in 800-square feet with three adults, that’s what we can afford. I make about $42,000 a year. I rent because I could never afford a house or be approved for a loan. If I were to apply for a mortgage, incentives would not be considered to qualify for a mortgage. Another teacher, Joe Walden, told the WSWS: “We have been working on this for years in terms of ProComp. One of our messages is that incentives don’t work. We need a good starting salary and a reasonable plan to build that salary over the course of our careers. A sticking point is the role of professional development; the administration makes it an impossible hoop to jump through. “We have a general idea of how much money we make each month, but we don’t know what is going to be incentivized each year. This year we got one for growth in test scores; we received $1,000. Last year, it was close to $2,400. It’s announced about three weeks before you get it. Two East High School students, Rebekah Wilson and Cathryn Seaman also spoke with the WSWS. Rebekah said: “I’m out here because the teachers in DPS have done so much for me. They helped me bring my GPA up from 1.7 to 5.9. That wouldn’t have been possible without the amazing teachers in my life. A year since statewide strike. West Virginia teachers walk out to oppose charter schools: here. West Virginia educators remain defiant in second day of statewide strike: here. West Virginia teachers denounce attack on public education: here.